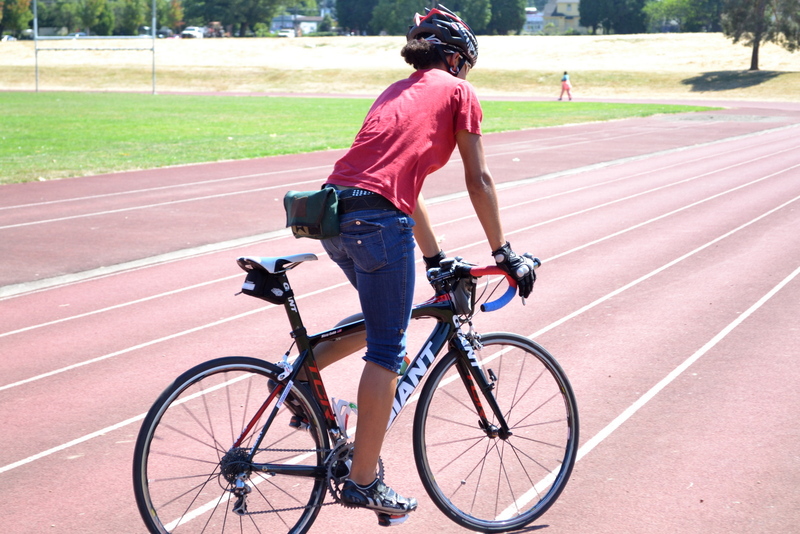 On August 22nd, the Advanced Girls Bike Camp rode to the track in Fernhill Park to meet with Nissy Cobb, our New Inventory Specialist at the Community Cycling Center. Nissy is also a highly skilled track bike racer. She competes weekly, and trains up to 6 hours a day in preparation for gaining a spot on the 2016 Olympics team in Rio. The girls were in awe of Nissy and asked fantastic questions. They wanted to know the specific sizes of the various tracks, and were particularly curious about the Madison style of racing. 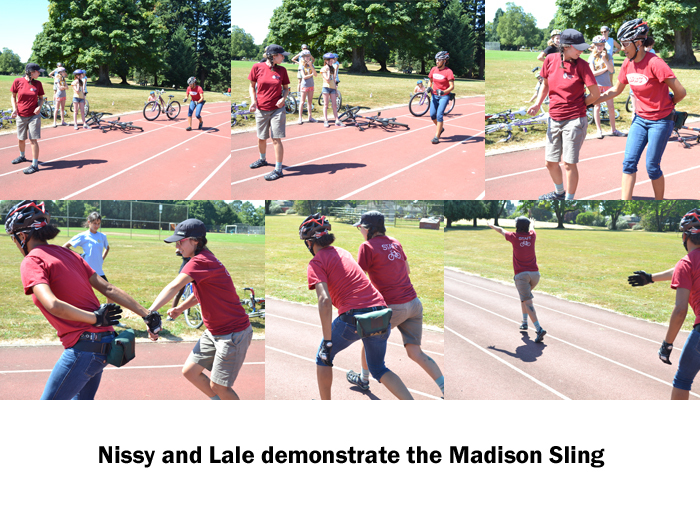 Nissy described the Madison sling – where teammates alternate laps by flinging each other onto the track. When the campers first arrived, they were tired and anxious to find some shade. After listening to stories about Nissy’s racing, though, they were amped. Nissy asked if they wanted to have a bike race and it was cheers all around. As they lined up on the track, the girls were divided into teams of two. When they completed a lap, their teammate took off. They were really positive with each other, cheering and high fiving, until one by one, breathless, they were all at the finish line. 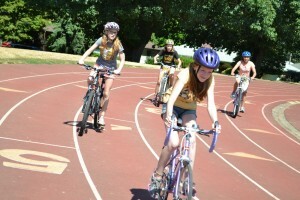 Field trips like this one are part of what makes Bike Camp special. Campers get to meet people all over town who are involved in the bike community in one way or another. 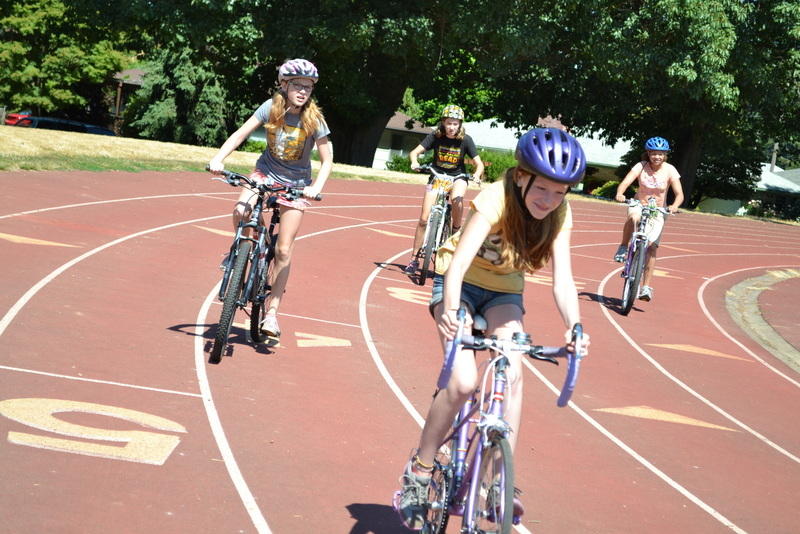 This past summer, campers have visited with Sugar Wheel Works, Friends of Trees, Bike Gallery, TriMet, Gracie’s Wrench, New Seasons, and Portland Pedicab. It’s exciting to see many people and organizations around Portland who are inspiring our young campers to live healthy and active lives. For more photos, click here to visit our Flickr photo album.